Because of extreme hyperinflation (at its worst, 500 billion percent in 2008), Zimbabwe’s national bank issued three massive redenominations of its currency, trading smaller-denomination new bills for much bigger-denomination old ones in 2006, 2008, and 2009. The largest bill ever printed, at the height of hyperinflation, was Z$100 trillion, which at the time of its issuance in 2008 was not enough to ride a public bus to work for a week. Ultimately unsuccessful at solving the problem, the government eventually abandoned the Zimbabwe dollar for its own use on April 12, 2009. The final conclusion to the process was the currency’s official “demonetization” this year. The demonetization period for the Zimbabwe dollar began Monday, June 15, 2015, and holders of the currency were given until September 30, 2015 to turn in their money to the nearest bank in exchange for US dollars. People with accounts of zero to 175 quadrillion (175,000,000,000,000,000) Zimbabwean dollars were paid a flat rate of $5 USD, and those with paper money received a rate of Z$250 trillion to $1 USD for 2008-issued notes (from the second redenomination) and Z$250 to $1 USD for 2009-issued notes (from the third redenomination). Accounts containing more than Z$175 quadrillion were exchanged at a rate of Z$35 quadrillion to $1 USD. Finance and Economic Development Minister Patrick Chinamasa was quoted as saying that the demonetization exercise would cost US$20 million. As of August 10, 2015, local banks had reportedly converted US$4 million worth of Zimbabwean dollars to USD. The end of the Zimbabwe dollar’s circulation signals the formalization of the multi-currency system in use since 2009, and is meant to promote confidence in the economic sector. Currently, the notes are being sold as souvenirs to tourists, and some people have even taken to making crafts out of them. However, all is not bleak for Zimbabwe’s own currency: the country’s tourism and diamond mines provide opportunities for growth, and with increased economic prosperity it is possible the Zimbabwe dollar could someday be reinstated. 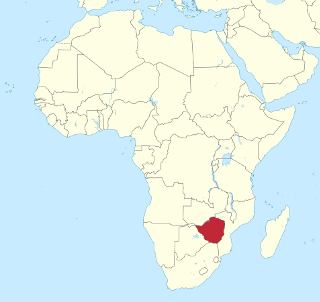 Zimbabwe has 16 official languages listed in its constitution, but official business is conducted mostly in English. The Zimbabwe dollar's incredible rate of hyperinflation can be traced back to an economic crash that hit the country in the first decade of the 21st Century. Some observers blame the start of Zimbabwe’s economic decline on strict pro-capitalism measures imposed on the country by international lenders in the early 1990s. But either way, it is widely recognized that by the year 2000, Zimbabwe’s economy was suffering from the country’s expensive involvement in Great African War, even as its government allegedly lied to international lenders about the true costs. The real crash began during President Robert Mugabe’s land-reform program in 2000, which essentially confiscated farmland in the possession of white Zimbabweans and gave it to indigenous black Zimbabweans. This redistribution was part of the ideology of the Zimbabwe African National Union-Patriotic Front (ZANU-PF) political party, which has been the only party in power since the country’s independence from the United Kingdom in 1980, and which has been led by Mugabe since 1975. The mass transfer of land ownership resulted in drastic reductions to food production, followed by the failure of various other sectors of the economy. Zimbabwe was transformed from an agricultural exporter, providing 400,000 jobs in the farming sector, to a net importer, with 94 percent unemployment. Many outsiders attributed the crash to failed policies of the undemocratic Mugabe administration, while the government and its supporters argued that sanctions from Western countries were to blame. Facing this extreme economic crisis, Mugabe ordered that more money be printed to fill the deficit, and hyperinflation began, sometimes doubling prices several times in the same day. The currency was revalued by the government three times, “dropping zeros” from the value of the bills to counter the effects of the inflation – but it was not enough, and the decision was eventually made to abandon the Zimbabwe dollar altogether. Photo of Z$100 trillion note is in the public domain (source). Graphic of the Zimbabwean flag is also in the public domain (source).